I’m wildly excited for this month’s featured author, who’s written one of my favorite gay YAs ever, which is also one of my favorite mystery/thriller novels ever, and who just released his sophomore novel on April 24. He’s also got some killer (no pun intended) work coming up and one of my favorite accounts on Instagram, so basically, yeah, he’s a good guy to know! Get to know Caleb Roehrig and you’ll become a huge fan too! New book! New book! 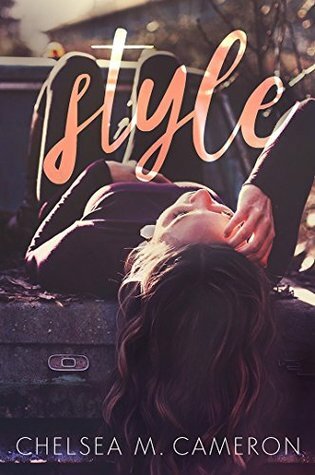 I haven’t gotten to read it yet, but by all accounts, White Rabbit is nooo victim of the Sophomore Slump, and you know I’m a massive fan of your debut, Last Seen Leaving. Can you tell us a little about White Rabbit and what it was like to write book 2? White Rabbit is about a boy named Rufus Holt who has one night to prove his sister is being framed for murder, with no allies to trust or count on but the ex-boyfriend who crushed his heart. The entire story unfolds over the course of about eight hours, and I call it my tribute to Agatha Christie—a murder mystery with a small pool of suspects, all of whom have something to hide. As for writing Book 2, let me assure you that Second Book Syndrome is no joke! I actually completed a manuscript in between Last Seen Leaving and White Rabbit, but was in such a weird head space that I never felt comfortable with it. Once it was done, I shelved the project and started all over again. It was absolutely the right choice; the new story—this one—felt right from the very beginning, and I’m so excited to share it with the world! You also recently announced a new book called Death Prefers Blondes, which I am so excited about. What can you share about it, and in what ways is it a departure from your previous work? What I can say about Death Prefers Blondes is this: it’s my take on Hamlet, wherein Hamlet is a rebel heiress and Rosencrantz and Guildenstern are a pack of kickboxing drag queens. It’s a story I’ve told myself in one form or another since I was a teenager, and in many ways it feels surreal to finally have it captured in a manuscript. I tell everyone my signature content is Murder, Mayhem, & Make-outs, and Blondes has all of that in spades; but otherwise, it’s a huge departure for me. It’s less a whodunit than an action/adventure story, and I’ve never written a character quite like my protagonist, Margo—a wise-cracking, death-defying, face-punching socialite, hell-bent on revenge! As a thriller master, you’ve got to get yourself into some pretty dark places, and do some really twisted plotting. What are your favorites ways to both get yourself into those modes and pull yourself back out as needed? This is probably going to be an unsatisfying answer, but once upon a time, I was a professional actor; and as such, I have long experience with finding my way in and out of dark places. Acting is storytelling, of course—conjuring emotions out of words, and communicating that journey to the audience. The difference is that now I get to choose the tale that’s told, and how my reader will enter and exit the more intense scenes. To be honest, getting myself in and out of those frames of mind is easier than you might think; I get a lot of satisfaction when I feel like the mood is working right. In a way, creating misery is perversely rewarding. Talk to me about your main characters. What do you see as common threads between Caleb Roehrig leads, and in what ways do they differ? How much do their very different romantic situations play into that? I think my protagonists tend to be sarcastic, self-righteous, and prone to overthinking things. As for their differences, Flynn is definitely more of a joiner, and Rufus is more of a proud outcast. In terms of their respective journeys, Rufus has been out for a couple of years before the events White Rabbit, while Flynn is only just embarking on that journey in Last Seen Leaving, which definitely plays into their respective attitudes. It’s hard to explain how being closeted affects a person, but the best way I can describe it is to say that it’s like living with a ten-second delay. Every word that comes out of your mouth has to clear the censors first, to be sure it won’t give away your secret. A lot of Flynn’s actions and interests are directed by what he thinks will best help him fit in with his friend group; on the flipside, Rufus has had more time to accept and embrace what makes him different, which is, in part, what helps him find his friend group. As a result, Flynn’s romance is complicated by the fact that he’s put so much time and effort into resisting what he really wants, so that breaking through that shell is a challenge. For Rufus, knowing what he wants isn’t enough—because the boy he wants it with runs in a different social circle, and is going through a difficult journey of his own. This one is hard! I’ve been a lot of places, but mostly in Europe, because I lived there for four years. That said, I think my top three might be: Venice, Italy; literally anywhere in Norway; and Vevey, Switzerland. My bucket list includes: Tokyo, Marrakesh, and Rio de Janeiro. And Machu Picchu. And Australia. As for a fave travel photo, please enjoy the attached snapshot I took of Silvaplana, a town in the Swiss canton of Graubünden, while hiking the Alps! And as long as we’re discussing travel, if you were going to set a book outside the US, where would it be and why? Without giving too much away, there’s a sequence in Death Prefers Blondes that takes place in Europe; but as for setting an entire novel outside the US, I definitely have every intention to do so! I was so fortunate to live in Finland for a while, and to get to know that part of the world in an intimate way, and I would love to set a book there. It would mean a lot to me to bring that country alive on the page as a personal love letter. I would also love to set something in Stockholm. It’s another of my favorite world cities, and I have kind of an affinity for Swedish culture. I’ve been low-key studying the language for the past seven years, which involves reading tons of gritty, Nordic crime fiction, and it’s been making my imagination run wild. 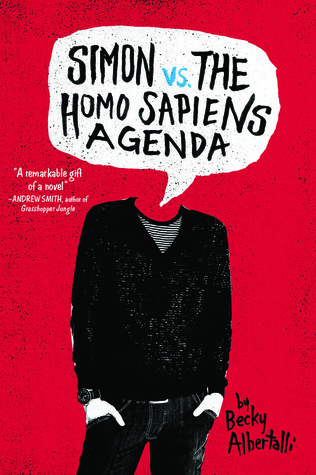 We’ve been seeing some more discussion lately about the importance of queer-guy YA written by queer guys, and as one of my favorite authors bringing #ownvoices gay YA to the canon, what are some books/voices you’d love to see get some more attention? And what milestones would you still like to see hit? One of my absolute favorite #ownvoices novels is Adam Silvera’s History is All You Left Me, and I think it deserve more love. 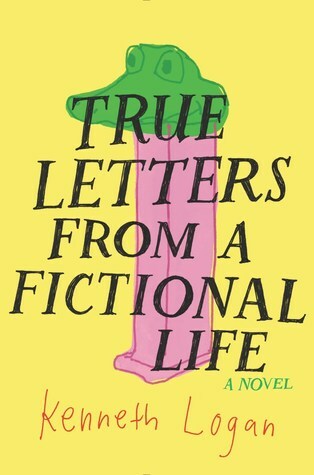 It’s a beautifully-written work about some very ugly emotions, and digs its fingers into some situations that are very specific to the gay experience, and which ring with an authenticity that gay readers deserve. I’m also really fond of Tim Floreen’s Willful Machines, Cale Dietrich’s The Love Interest, and Simon Curtis’s Boy Robot, all of which are SciFi/Spec Fic stories with thriller sentimentalities and queer protagonists. 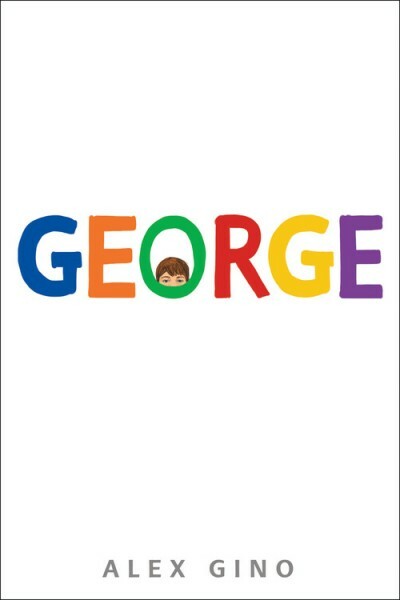 I am 110% here for books about kids who navigate their queerness as only one element of a more expansive plot, because that’s how it works in real life, too. Honestly, I could talk for ages about this, but to keep it short, I’ll go with this: a milestone I would love to see hit is for #OV gay YA writers to earn awards and recognition based on genre as much as on category. I’d love to see readers abandon their preconceptions and embrace a fuller representation of what queerness is. 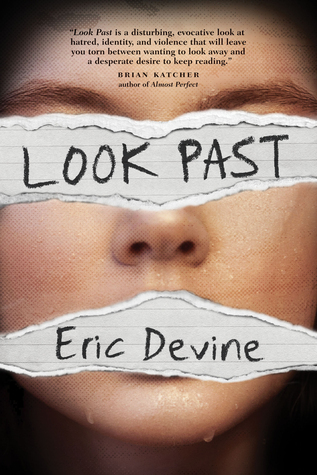 Heading back to the root of my fandom, now that you’re a ways away from publication of Last Seen Leaving, what have your takeaways been from the experience, especially with gay YA thrillers being so rare? My experience has so far been great. It’s funny…I always thought of myself as a thriller writer, because I’ve been telling murder mysteries since long before I ever believed I could sell a book with a gay protagonist. 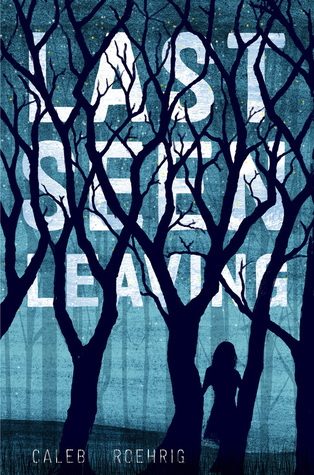 Last Seen Leaving was actually my first attempt at an #OwnVoices novel, and when I first started it, I didn’t actually expect it to go anywhere. So it took me a while to internalize that I’m also a queer lit writer. 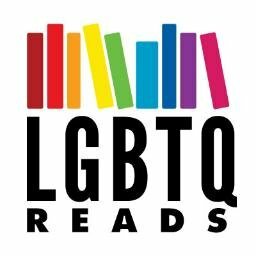 I’m really lucky, I think, because with one foot in the genre world and another in the growing field of queer rep for young readers, I get the opportunity to speak on a number of topics that I’m really passionate about. And what’s so great is to know that the gay YA thriller is a growing subcategory right now. I’m not sure where it comes from, but most of the gay men I know love horror movies, and I think—I hope—that more and more OV books are on their way about queer teens fighting monsters and busting crime! 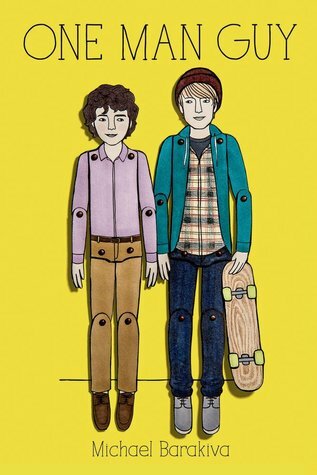 For better or for worse, what’s the earliest LGBTQIAP+ representation you remember reading or seeing onscreen? I think the very first time that I saw definitively queer rep (something more than subtext) it was in excerpts of Madonna: Truth or Dare, the controversial documentary of the 1991 music tour, Blonde Ambition. I remember these black-and-white clips being played on the news, showing Madonna sitting around with her flamboyant and unapologetically gay back-up dancers, speaking in blunt, provocative terms. Everything featured on the news was heavily censored, of course, but they were there. Madonna was one of the most influential artists in the world at the time, and I’m not sure people can really appreciate what her deliberate and highly visible acceptance of the queer community meant at the time. So, in addition to Death Prefers Blondes, I have a fourth book scheduled with Feiwel & Friends/Macmillan, and then I’m contributing a short story to an anthology of Edgar Allen Poe retellings, entitled His Hideous Heart, edited by one Dahlia Adler! (For those keeping score, I’ll be tackling The Pit and the Pendulum.) I’m also contributing to a second anthology, which has not been announced yet, and tweaking an adult fiction project I’ve been working on for a while. So…I think I have a busy year ahead!